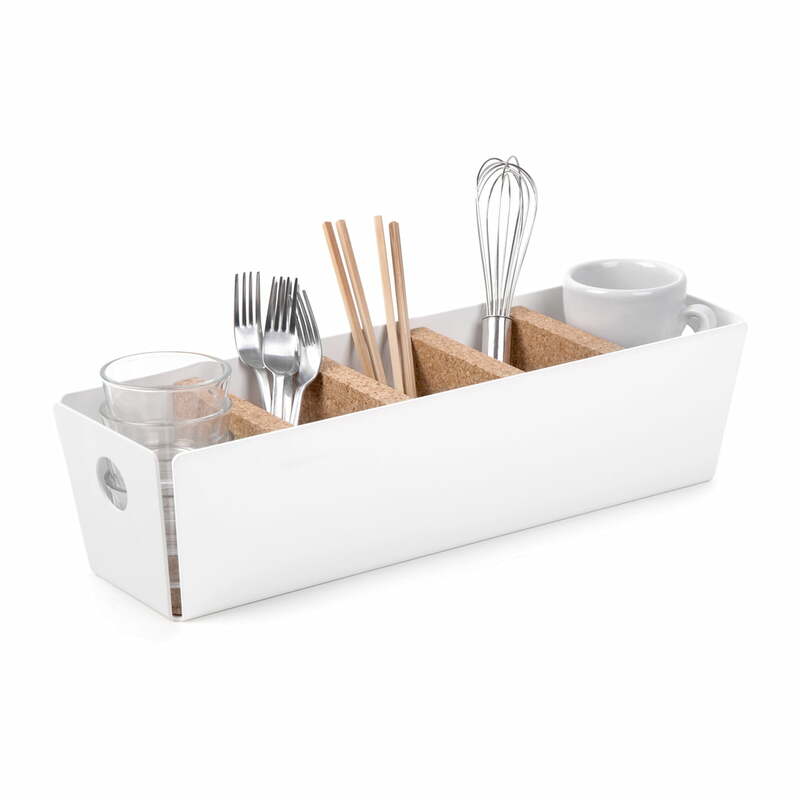 Chic, organized and always ready to be picked is how the Shuffle-Box from Konstantin Slawinski holds all kinds of utensils. 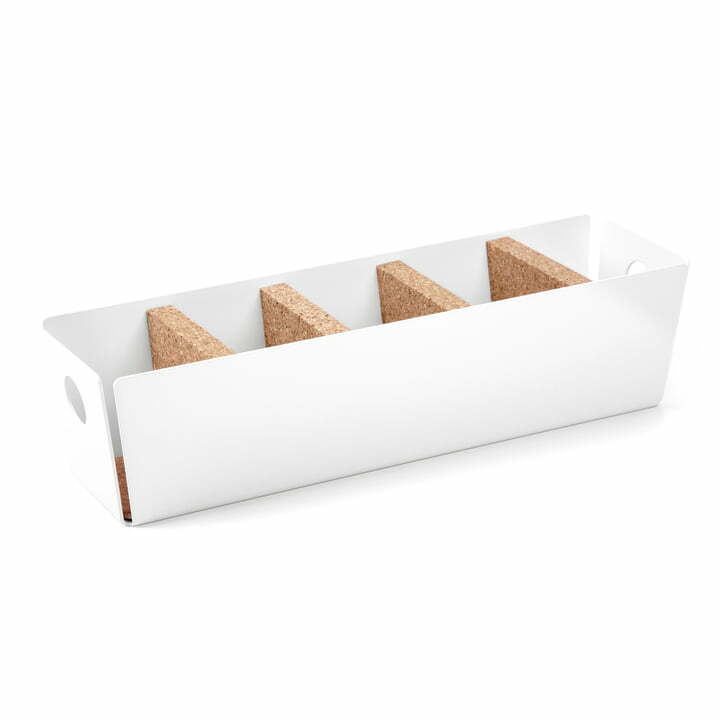 The designer Sascha Sartory designed the versatile box for the German manufacturer and he concentrated on functionality and simple elegance when he designed his box. This is how a table container emerged, which adapts to the demands of the user. The box is made of white or grey steel. The inlay and four walls of cork make the sterile box a bit warmer. 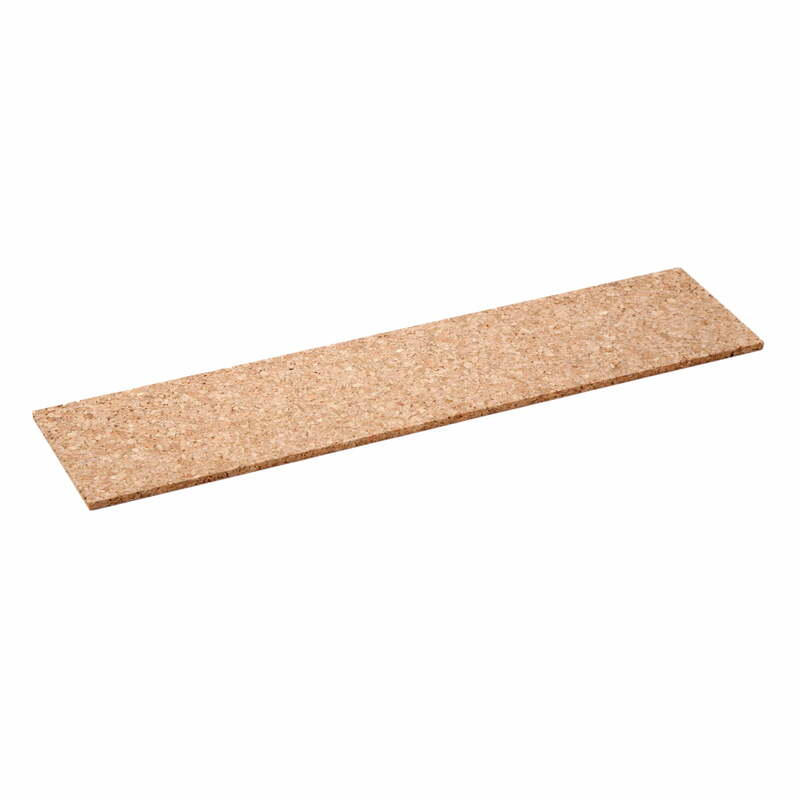 The cork inlay furthermore avoids the content of the box from slipping away. 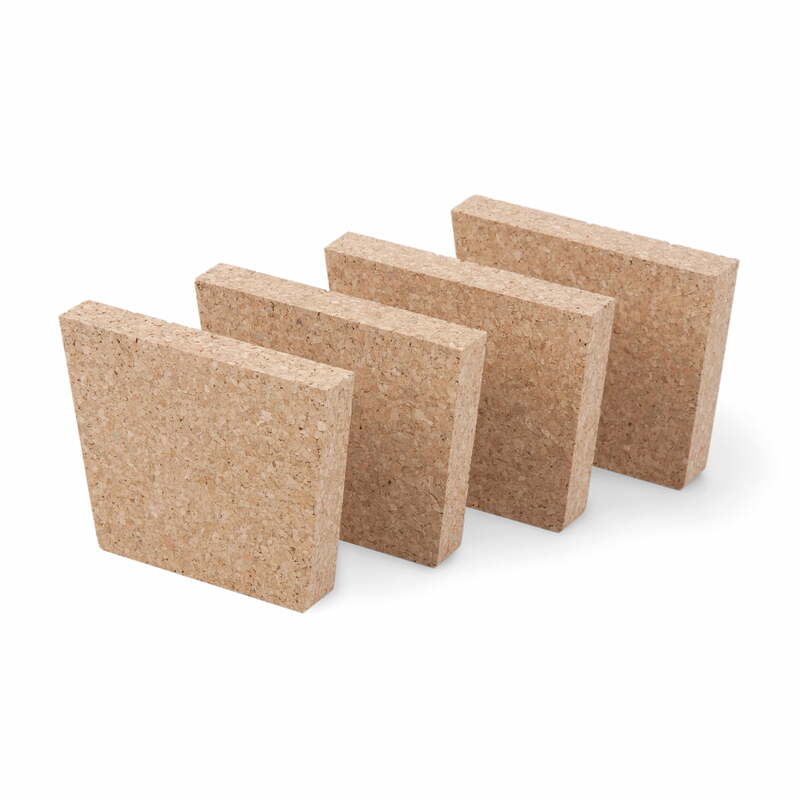 The cork walls are extractable and individually used – this is how the Shuffle-Box flexibly adapts to the content. The use of the Shuffle-Box is chosen by the user. This one decides where to install the box and what to place inside of it. 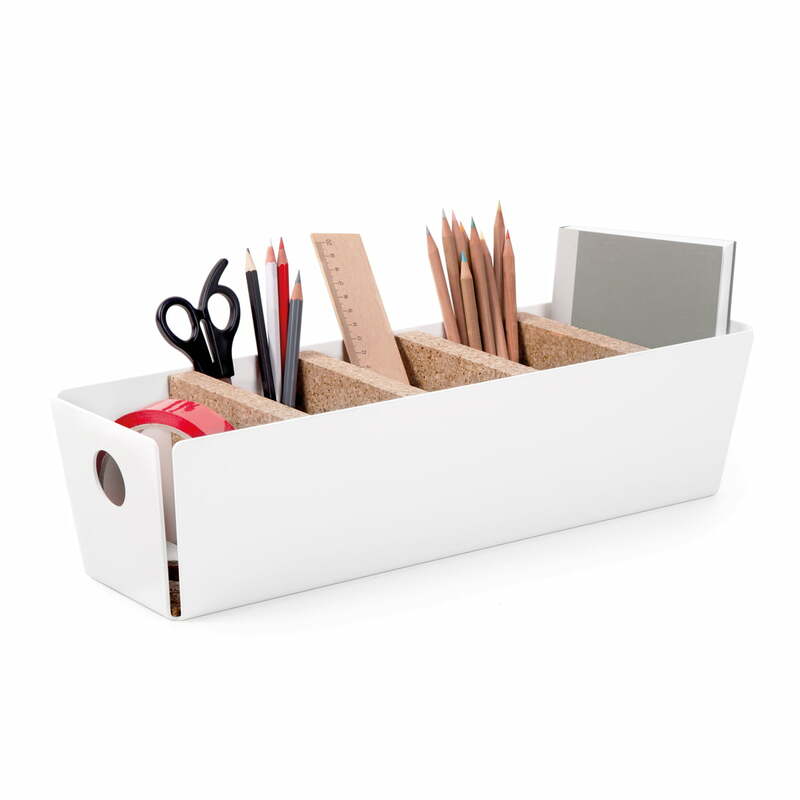 Store pencils, rulers and desk utensils in it in the office or use it for cutlery in the kitchen – or maybe for jewellery in the bedroom or the bathroom? The Shuffle-Box gives a pretty frame to your valuable things and it keeps them organized at the same time. It is more than only a table box – Sascha Sartory created an aesthetical piece of home design with the modern Shuffle-Box.